One of the biggest challenges we can face in recovery is self-acceptance and coming to believe that we are good enough exactly the way we are. Perfectionistic tendencies are common for recovering addicts and for working artists such tendencies can result in a shameful spiral of not producing enough work or not being able to show work to others. 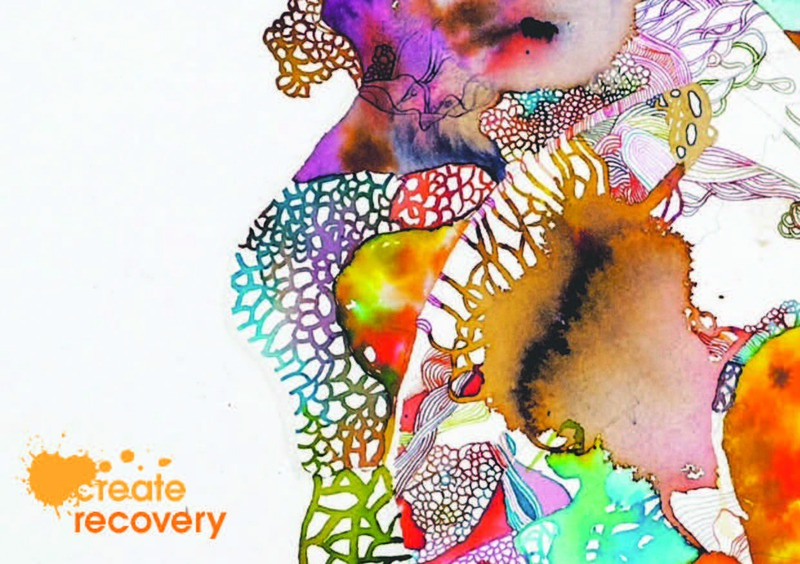 We can struggle for years in recovery, believing our creative outputs are not good enough to share with others or that we are not good enough “artists” to be creating works at all. At Create Recovery we believe that we can collectively learn to work with perfectionistic patterns as well as challenge them. This all starts with acceptance of those tendencies and learning to share these challenges in community. The most successful artists we know are incredibly hard working. They also find a way to build a routine and stick to it! Many in recovery (but not all) struggle with keeping to a routine as it can feel too restrictive or limiting. However, we have learnt over the years that keeping to a regular schedule produces the best sense of accomplishment and as such the best advances in self-esteem. We have also learnt first-hand that if we can find a way to work within a regular pattern we often have more “light bulb” moments and produce more work. As they say… consistency is the key to quality. One of the most powerful ways to change how we feel is to take a fresh perspective. For a very basic example, if you are sitting down at your desk reading this, get up and walk across the room and notice even the smallest changes in your body as you do so as well as the difference in your field of vision. At Create Recovery when we feel creatively blocked we often use some principles of qi gong to shift energies, or take a break and go outside for a walking meditation to help us to change our outlook. At Create Recovery we are firm believers in the saying, “community keeps people well”. For in our experience those in recovery who form and stay connected to a supportive community are those who flourish the most. We all need to feel a sense of relatedness and connection and in order to get those needs met as a working artist in recovery, we have found that we need to seek out fellow travellers who identify with our struggles. This can mean other artists not in recovery and people in recovery who aren’t working in artistic fields, however we find there is a special value in connecting with people who understand both parts of ourselves and our journey. In active addiction, drugs, alcohol or certain behaviours can become the most common and appealing rewards. As such in recovery, we need to find new ways to reward ourselves. Initially these may seem less appealing but ultimately, we can learn to meet our needs more fully in recovery than we ever did in our addiction. Rewarding oneself can be relatively easy for some people in recovery, for others it can be a direct challenge to shame and low self-worth. At Create Recovery, we are firm believers in learning to reward ourselves regularly, even for small creative accomplishments. For we know that finishing a paragraph of writing if we feel blocked or emailing one gallery if one feels low that day can be a huge achievement. Go on treat yourself..! Completing tasks can be challenging for some people in recovery. Starting but not finishing works can be a way to stay stuck in perfectionism and not fully express yourself. At times, it can be more appealing to stay attached to the idea of something rather than the reality of it and not completing work can fuel this process. We find that if we get stuck in this pattern of behaviour it is important to name it, be kind to oneself and then try and finish something…anything. The task we complete in these circumstances doesn’t have to be the thing we are avoiding. For example, it may be finishing another work task, doing a household chore or making supper, as we find that if we finish other tasks this can at least offset some of the feelings of shame, guilt, or isolation often associated with not finishing work. we know are often quite ruthless about their time and discerning about what they apply their creative energy towards. In our experience, part of developing as an artist definitely involves learning when and where to pare back as well as when to take on new projects and endeavours. Another part of this learning curve can often be asking for help with the specific elements of projects you can struggle with (e.g. accounting or the business side etc.). Much of recovery and therapy centres around “allowing”, “connecting” and congruently “expressing” feelings. We know first-hand how important this is for ongoing recovery, well-being and relapse prevention. However, sometimes emotions and feelings can overwhelm the creative process and everyday life. In our experience, it is important to give space to feelings, but it is equally important to recognise when we need to responsibly complete actions and not “fall into” feelings. At the end of the day this is about balance and proportion which can be challenging for some in recovery, so again go gently and in the first incidence try to seek support when feeling stuck or overwhelmed. Stamina and persistence are key. Recovery is tiring, creation is tiring, showing up and being responsible is tiring. Almost every artist we know who is successful has experienced moments when they doubt their talents, abilities or direction. Very few artists walk straight into being an overnight success and even those who do can doubt whether or not they deserve the success they have achieved. The key when we hit those moments is to simply keep going. Sometimes we need to shift gears and change course but ultimately, we always need to keep going, keep moving forwards. To help us to keep going it can be useful to acknowledge past achievements and to keep reaching out and seeking support from those who understand what we are going through. Successful artists give themselves permission to earn a living. Being entrepreneurial and business minded is NOT unethical or unspiritual rather it is crucial to the longevity of your work and career. When we are creative we might not always make our living through our art, but as artists it is crucial to learn how to value our creative outputs. An illustrator we know spent the first two years in recovery giving their work away for free whilst being stuck for money every month. Coming to recognise their value they started to sell their time and work on projects and whilst this was a challenging and uncomfortable process for them, it has resulted in improvements in both their recovery and also the quality of their art work. Our work and recovery is valuable and we need to learn to recognise this in order to develop on both fronts.